The titles given to David Livingstone since his death are varied enough to seem dubious--and with good reason. In view of the confessions in his own journals, "saint" is out of the question. Even "missionary" is tenuous, considering he made only one convert. And despite his fame as a scientist and explorer, Livingstone left his most indelible mark on Africa in an arena few have previously examined: slavery. His impact on abolishing what he called "this awful slave-trade" has been shockingly overlooked as the centerpiece of his African mission. David Livingstone was such a remarkable person. I had read a few things about him in school but this book goes into great detail on his journeys, maps included. I didn't realize he was such a well known person in his time. I guess I should have since they sent a reporter to find him when all thought he was dead. It's amazing how one person could have such an impact on others and the slave trade alone. 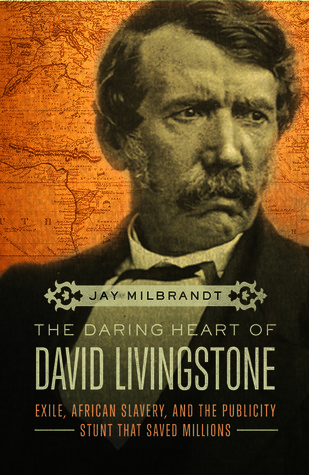 If you haven't read much about David Livingstone this book is packed with his life. I do think the book was a bit slow just because of how it was written. I still enjoyed the book.